Gmail is the most popular email provider in the world and there is a good reason for that. With over 1.5 billion users, it has the most features than any of its rivals. The question is, Do you use all of the features that Gmail has to offer? Are you even aware of all the features? Do you know you can make free calls from within Gmail or translate an Arabic email into English? Gmail, which just turned 15, continues to be at the forefront of innovation. Here are five features of Gmail that are not available with any other email provider. 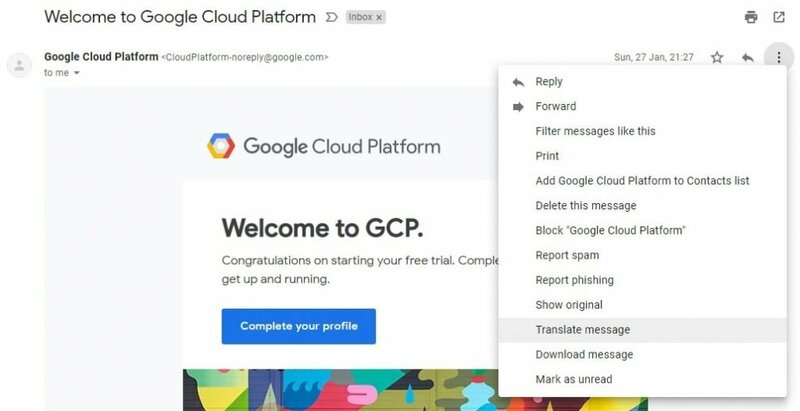 Depending on the version of Gmail you are using, whenever an email arrives in a foreign language, you will get an option saying “View translated message” at the top of the email message, once clicked Google will translate the message to a language of your choice. If you don’t see the “View translated message” option, you can just click the three stacked dots on the top right of the email and select “Translate message” to access that option. Emails can be translated to any number of languages, from Arabic or Albanian to Hindi or Zulu. Google has introduced a new artificial intelligent system called the Smart Assist, that helps you auto-complete your sentences to make it quicker to compose emails and make sure you are using correct sentence structures and spellings. 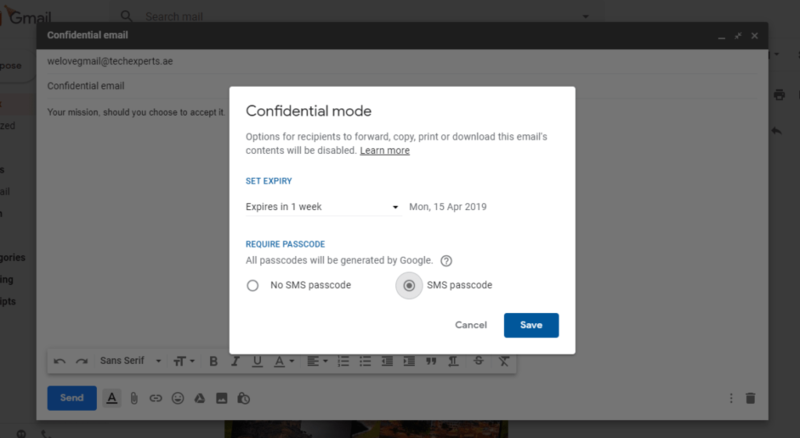 You can also add another layer of confidentiality by putting a passcode on the email that would be sent directly to the recipients mobile phone by text message. Introduced last year, in Gmail now you can put an expiration date on your email. It means that the email will self-destruct after a specified time. Yes, just like in the Mission Impossible movies, but sadly with not as much fanfare. 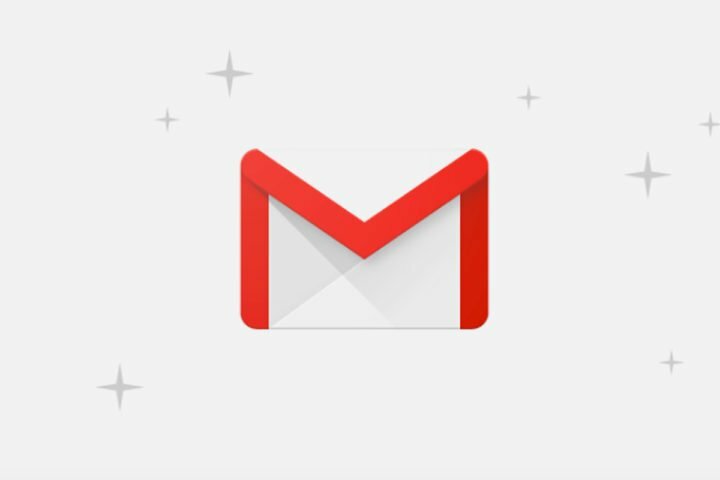 Gmail since its inception has been always about organizing emails in proper way and getting rid of the clutter that is newsletters, marketing emails, and all. 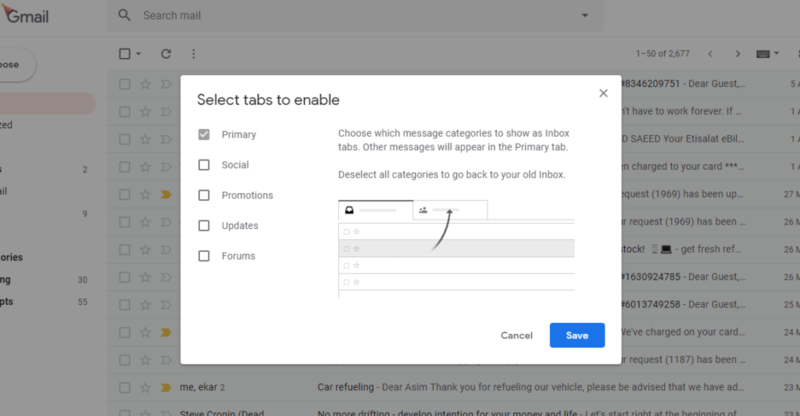 To achieve that Gmail gives you the option to separate important emails from people you know into the “Primary” folder and puts everything else in other folders like Social and Promotion. In that way all the marketing emails about latest offers and social media notifications don’t clog your inbox and you only see the emails that matter first. This is a new addition to a long list of Gmail features. 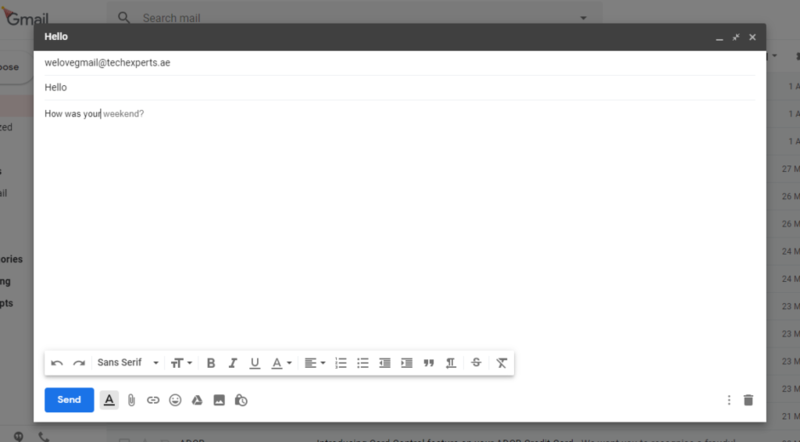 Introduced recently, now you’ll be able to write an email and schedule it to be sent at a later date. The feature is gradually rolling out to users and is not available to everyone at the moment.